Since he joined the race for the Amawbia governors lodge, Chief Willie Obiano has been deftly positioned as the best man in the race. With a squeaky clean background, a high profile career and a sound education, Obiano is an easy sell in a race cluttered by candidates with a shady past and a history of broken promises and dalliances with anathema. The opening salvo of the Obiano team was to establish him as a thoroughgoing technocrat and competent manager of men and matter. Pitched against Senator Chris Ngige who is heavily laden with the yoke of being the only governor of Anambra State who was literally and metaphorically flushed out of the state house and Mr. Ifeanyi Ubah who has integrity alarms ringing all over him, Obiano shone like a silver coin in the midday sun. Interestingly the most potent sales pitch for Obiano was made by Anambra's Governor Peter Obi himself. Addressing journalists at the inception of the campaign in Protea Hotel Lagos, Obi wondered how Anambrarians could vote for Ngige in whose time as governor, the state witnessed the first case of kidnapping with its first citizen as the victim or for Tony Nwoye who was seen in a video footage clutching a gallon of petrol and leading the arsonist squad that burnt down the government house in Awka and turned Anambra into the world's laughing stock under Ngige's regime. On Ifeanyi Ubah, he wondered how Anambra, Chinua Achebe's home state could vote for a holder of NECO, the most basic school certificate which he allegedly obtained in 2006 and for someone who could neither write his own name with comfort nor read anything that was written for him with ease. Placed alongside Obiano's MBA in marketing and his deputy, Nkem Okeke's PhD in monetary economics, in a state that produced Chike Obi, Kenneth Dike, Chuba Okadigbo, the great Zik of Africa and Chimamanda Adichie, it becomes clear that unless Ndi Anambra have lost their sense of what is right, Ifeanyi Ubah would emerge the unlike candidate for their affection. So, the Obiano Team did a great job of positioning him as the most outstanding candidate in all ramifications; clean background with no scent of scandals, astute administrator and passionate philanthropist with a great sense of community. In the coming days, this profile would stampede the opposition into looking for a smell-bomb to detonate on him, leading to many regrettable miscalculations that turned the knife inwards on them. Unlike Obiano, the opposition was hard-pressed to make any straight sales pitch to the people. Ngige's mantra of Tested & Trusted flew in the face of the fact that the electorate knew that he rode on a stolen mandate to the state house and was subsequently shoved aside by a competent court. His unenviable records as the first governor to be humiliated in office by cheap mobsters and the first Igbo senator to justify an injustice against his own people all pulled the rug from under his feet and left his camp groping for slurs to cast on Obiano to create a balance of errors. Ngige's alleged fracas with a Catholic priest and brazen violation of the Ofala Festival in Onitsha also denied him a shelter with neither the church nor tradition. His membership of a predominantly Muslim party with an overawing South Western influence also knocked the wind out of his sail because of a seemingly impossible handshake across the Niger. What finally emerged, against all attempts by heavily funded media machinery is the picture of a good man in a wrong party at best and the image of a political loose cannon, drifting from the grip of a fiendish godfather into the embrace of a power baron whose choking hold on South West politics has left the region gasping for breath, at worse. In all, we are left with the forlorn figure of a desperate politician who has finally out-maneuverered himself. Unlike Ngige, Ubah cuts a more pitiable figure. His handlers could not quite tell if it made more sense to cast him in the mould of the Traders'Choicewhich heightens his obvious educational inadequacy and utter disregard for learning or to project him as a high achieving businessman against the backdrop of his notoriety as a debtor and his infamous integrity deficiency syndrome. As it were, not even his heavy advertising spend in the Lagos media has quite addressed Ifeanyi Ubah's personal conundrum. And the reason is simple; in a state that has produced some of black Africa's leading thinkers, writers, scientists, computer wizards and scholars, a vote for Ifeanyi Ubah is a vote cast in error. What would a parent who casts his vote for Ubah be telling his children? That they do not need a good education to become role models in the society or that it is acceptable to attain success through shady business dealings? So, it is easy to see the dilemma that Ubah's campaign team has contended with all through his race for the Anambra Statehouse. Similarly, Tony Nwoye's camp has been hobbled with a sundry issues ranging from the endless litigations that clogged his emergence as the PDP candidate to his own well-known story as man who wants to occupy the house he once burnt to ashes. Nwoye is also known to have been thrown out of school for juvenile offences that put paid to his academic pursuit in midstream. Sadly, his late entry into the race has robbed his team a clear shot at any known strategy, making it difficult to identify him with any brand promise. But Nwoye's governorship dream seems to have been stymied on the runway, preventing any form of take-off whatsoever. For instance, six day to polling, the members of Anambra North Traditional Rulers Council wash their hands off his gubernatorial aspirations in a widely circulated media report. Hiwever, Nwoye's crisis of confidence came to an inevitable head when President Jonathan refused to raise his hand at the PDP campaign rally in Onitsha or expressly ask Ndi Anambra to vote for him. The meaning was not lost on the people. Instead, President Jonathan advised Anambrarians to vote for a man with integrity, a known track record of excellence and someone who had the capacity to provide purposeful leadership to them; which many people interpreted as a subtle endorsement of Chief Willie Obiano. Wittingly or unwittingly, Jonathan's action and comments were seen as the final nail in the coffin of Nwoye's gubernatorial dreams. Now, anyone who has followed the Anambra poll from Lagos, Abuja or outside the country may be tempted to conclude that Senator Ngige and Ubah are more serious contenders than Obiano. The reason is simple; the campaign strategies of both Ngige and Ubah are heavy on advertising on TV, Radio, online and print media. Now, that is good. 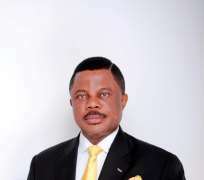 However, what many people outside Anambra do not know is that while APC and Labour Party were busy making conventional political noises in the Lagos media and forging documents to incriminate Obiano, the APGA campaign team was busy where it mattered most, building critical alliances with the various communities and mending broken fences with opinion leaders and influencers in Anambra State. The APGA machinery knew that loud claims in the media may be good but what matters is the physical contact with the individual electorate. So, while they burrowed through the nooks and crannies of the state, APC and Labour Party focused on dominating the airwaves with their campaign messages in a country where power cuts have taken access to the electronic media and the internet out of the reach of the average voter. Perhaps, there is no greater proof of the efficacy of APGA's strategy than the overwhelming endorsements that Chief Obiano has received in the build up to November 16. The most profound so far have been the endorsements by the State Council of Traditional Rulers, the state Chapter of Ohaneze, the Nnewi Traders Association (Ubah's supposed stronghold), the Anambra Women Organization with membership strength of 200,000, the Youth Council of Nigeria, the traditional rulers in Idemili and Dunukofia (Ngige's stronghold), Omambala Youths Association and the Knights of the Catholic Church among others. In contrast, Ngige has not received any endorsements beyond the one from his coterie of friends like Prof. Pat Utomi who is an APC member and his hired praise singers who follow him with chants wherever he goes. Ubah's own endorsement came from Jay Jay Okocha and other former Nigerian internationals who collected princely appearance fees to play in a novelty match hosted at the Nanka Stadium to sell Ubah's candidacy to the youths. What we see in the endorsements of Ngige and Ubah is that they came from people who have no real electoral value in Anambra State. A final proof of Ubah's political misadventure emerged when APGA chose to close its campaign in Ubah's home town of Nnewi on Thursday. As usual, the mammoth crowd that turned up to cheer the APGA train sent a cold shiver down Ubah's spine forcing him to make a face-saving gambit that blew up on his face. Ubah had hurriedly mounted a campaign right across the venue of APGA rally and began to hand out campaign items to the people. But no sooner had the people collected his hand-outs than they had moved over to the APGA rally, leaving Ubah's venue empty. Ubah's situation became more miserable when Ajofia, the mythical masked spirit made popular by the fiction of Chinua Achebe appeared all of a sudden and drew whatever was left of Ubah's wretched crowd away to the APGA rally and forcing the Ubah team to close its campaign with a colossal rejection by his own people. If in choosing to round off its campaign in Nnewi, APGA had aimed to humiliate Ubah, the objective thoroughly achieved. In all, what is in evidence is that APGA began to outfox other parties in the Anambra poll from the get go. In its choice of candidate, campaign positioning strategy, reading of the political temperature, campaign rhetoric and focus of its campaign activities, APGA proved the better strategist. And that is why Willie Obiano will become the next governor of Anambra State. Eze is Head, Media & Communications, Willie Obiano Campaign Organisation.